Here is how you can solve git sync error after Windows password reset. Find your git remote repository if you don’t know what it is. Go to Start and type “Credential Manager”. 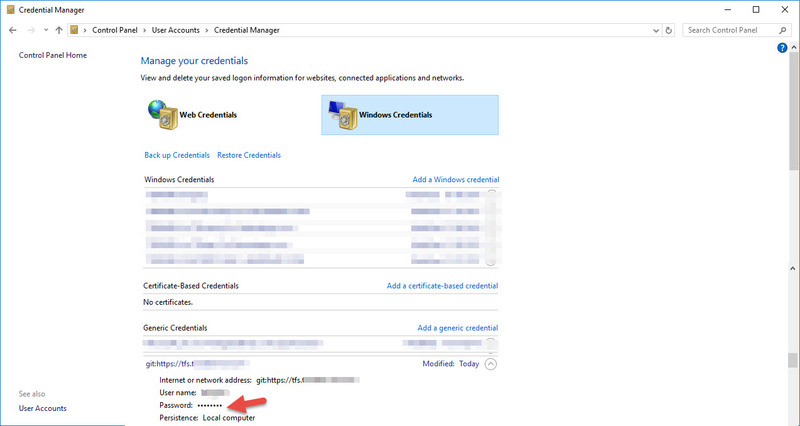 In your credential manager find the Certificate-Based Credential for “git:https://same.url.as.your.remote.repository” then edit your password there.